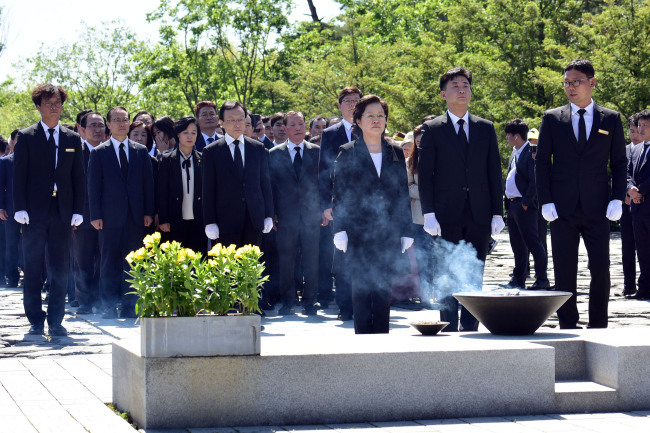 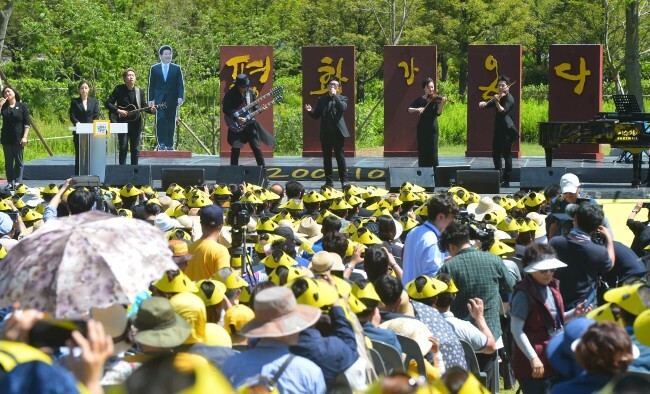 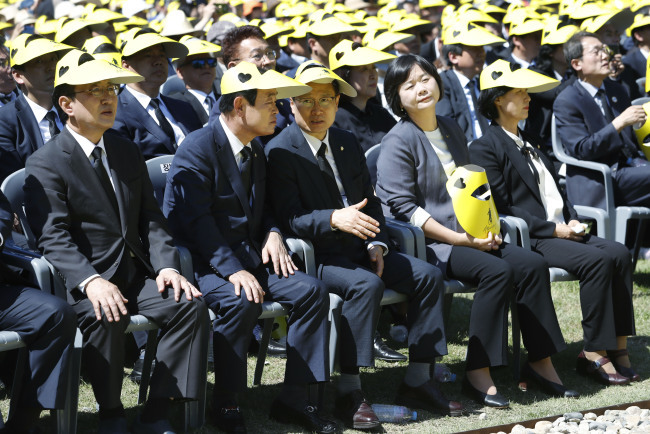 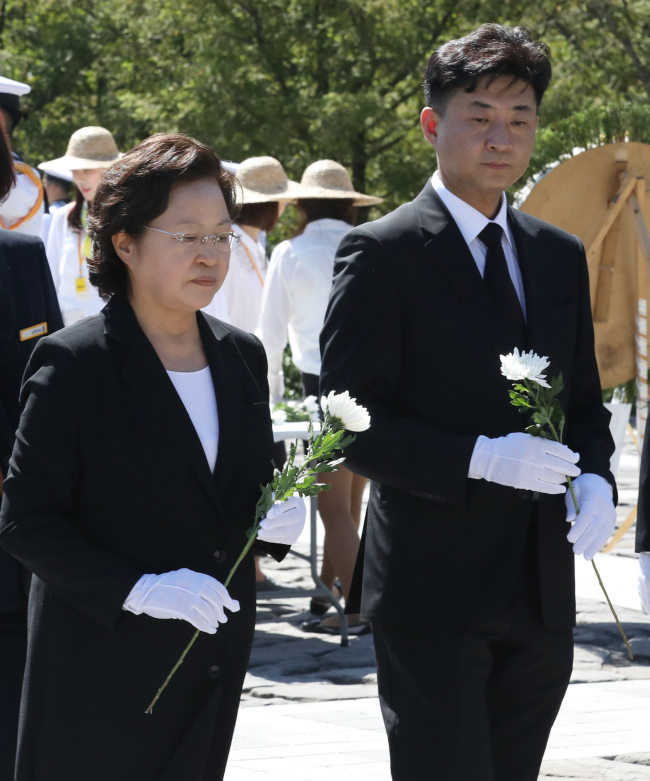 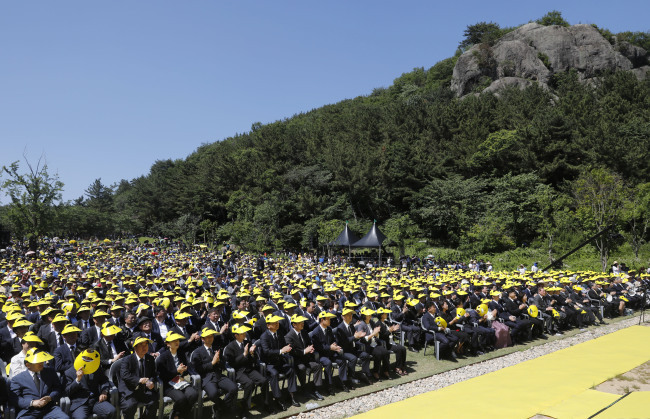 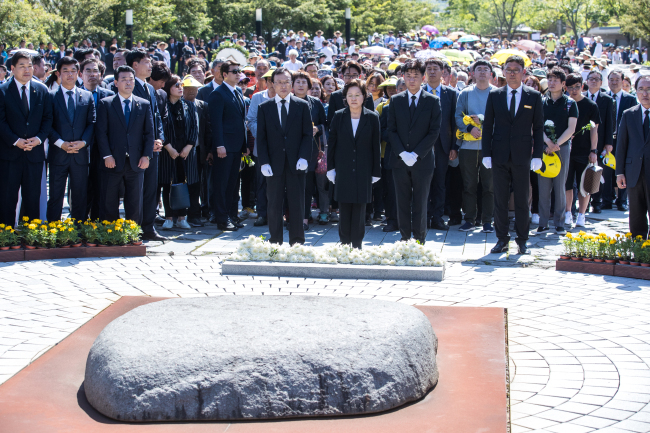 A memorial ceremony honoring the ninth anniversary of the passing of late President Roh Moo-hyun took place Wednesday at his grave in Bongha Village. 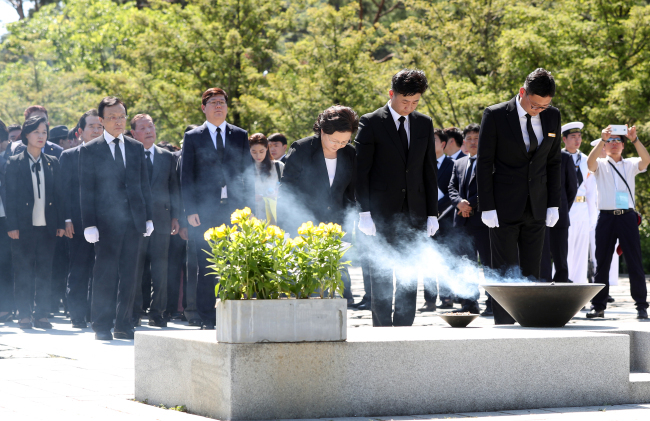 Politicians and mourners flocked to the village, located in Gimhae, South Gyeongsang Province, to pay their respects. 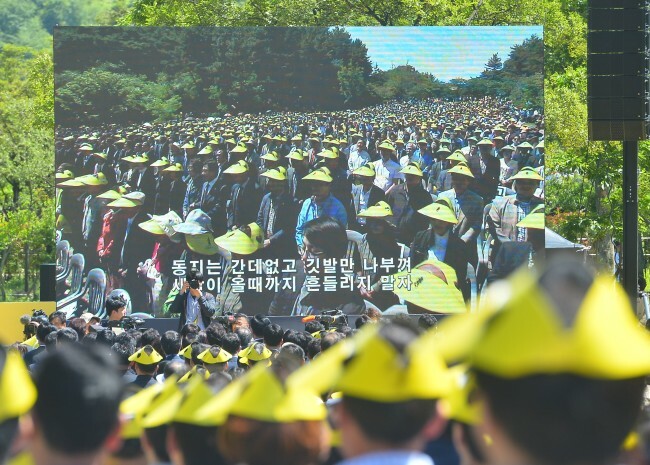 Prior to his presidency from 2003 to 2008, Roh advocated for student activists and human rights as a lawyer and politician. 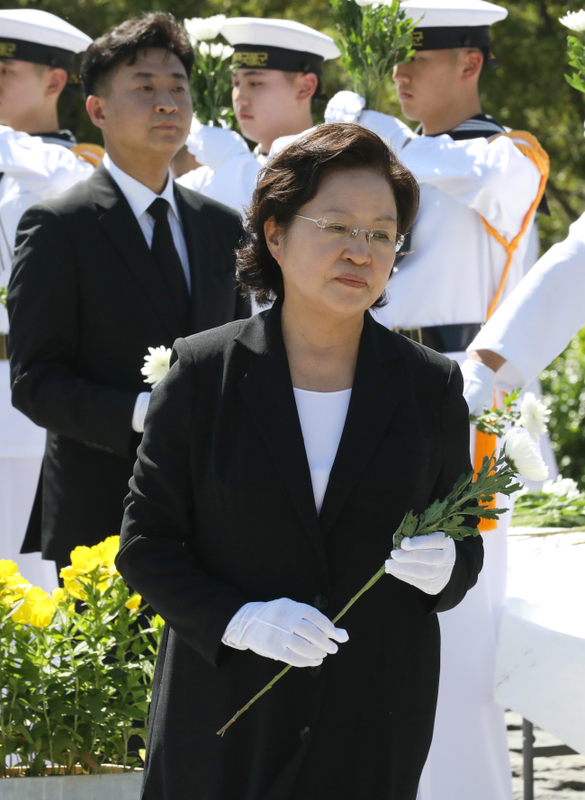 Roh died by suicide in 2009.